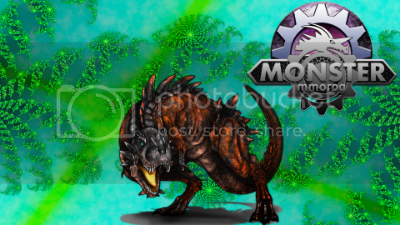 Monster MMORPG Game Official Forum » Monster MMORPG » In-Game Suggestions » Defining Types to Fix Moves. Before we start I wanted to say thank you so much. It's because of your support and opinions that we got some important changes implemented in the last update! We are truly grateful that you took the time to help us out! It is our hope that we can fix these issues and make the game better and more balanced by addressing them in this thread. Simply put, we need to make the different typings unique in regards to what the types moves look like and we need to make sure that we balance the game giving other types and Physical monsters a chance to be viable. As we move forward disscussing changes we will use the phrase "LOGIC and BALANCE". Also, it should be noted that we are KEEPING ALL WORKING moves and replacing the moves that don't work with things that EVERY type needs like healing or big BP/HP% moves, Prio...etc. We will describe what the different typings should look like, what their current "good' moves are and what constant "theme" a particular type's moves should look like. BUG - Bug is a tricky type because it doesn't really do anything "great" in the game. Its best moves are one Physical HP% move and Evasion increasing moves. Evasion I can see, I mean, have you ever tried to kill a fly? lol you have to sneak up on it to even have a chance. But what else should a bug type specialize in? I don't think bugs should have HUGE BP moves, but I could see moves that increase stats (like the aforementioned Evasion Stat) when they hit. I could also see bus types relying heavily on confusion and poisoning so those could be added to moves as secondary effects. As for healing, when I think of a bug I think of exoskeletons so heavy defense/sp def but not HUGE healing. IMO it's best healing move should be something like 25% max HP and +1/2 to def and/or Evasion/Sp def. DRAGON - Dragons work. They are HUGE BP, BIG damage types, with a TON of stat boosting. Dragons don't care about evasion as they would rather charge straight at an opponent. Dragons are all about intimidation and their moves prove it. Their main status' are bleeding with a minor in cringe. This is an example of a typing that works logically. All we need to do here is make sure we get rid of the useless moves that plague move pools. ELECTRIC - Speed, Paralysis and Crits lol This is one of the easiest typings I can define. This needs a lot of speed buffs and a lot of high crit chances. Paralysis and burn are the status' that come to mind for it. Healing paired with Status' would be nice. Electro regen and shocking regen are already a thing so I don't see it needing a lot of help in that area. HIGH BP with little to no HP% moves. Crits on Crits on Crits. FIGHTING - Fighting...when I think fighting I think training and working out. So HUGE Attack and Sp Attack boosts should be key here. Status' should be Confusion (like getting your bell rung) and cringe because Obviously. Mid Tier BP moves and Moderate HP% moves needed. Decent amount of Priority. Healing should be max 20-25% MAX HEALTH +def AND +spdef boosts. FIRE - Getting the obvious out of the way there should be a ton of burn status' here lol I'll also give it sleep (because smoke inhalation...yeah ) As for the BP it's fire so we need top Tier BP moves and moderate 35-45% HP% extra damage. I don't see Crit being a thing with fire. Healing...idk I'm drawing a blank. I don't think of healing when I think of Fire lol I only think of destruction. I could see maybe 20-25% heal with a high burn chance at most. Very little pio but if it does get prio I'd like to see a big BP with it 150-170. FLYING - Birds obviously come to mind. I think evasion, I think healing (phoenix) I also think high damage, but I think low BP (hollow bones and all makes them too light to hit really hard) so to offset I could see very good extra damage maybe 45-52% extra damage moves. Healing needs to be at least 42% maybe better, confusion should be utilized, bleeding I think make sense. TLDR Summary: Low BP high extra HP% damage, High healing, good evasion and stat debuff. GHOST - Well, first thing you think when you hear "Ghost!" is ... aaaaaw shucks. So some Paralyzing and Cringing gotta be in there. Then there's the thing that those are Spectral forms, often described as being no physical manifestation, so i'd throw some evasion in there. Ontop they're "cold presences" so some Freeze wouldn't be too wrong either. Confusion to get the possession theme covered, and some bleed + recovers x% of dmg dealt moves, they are said to drain life force aswell. And i'd throw some debuffing in there too, not too big, just some. GRASS - Now, Mother Nature, nuffsaid. The one thing always regaining, will be our beautiful earth. Therefore i wanna see MASSIVE healing. i want to see it buffing up on cloudless weather, Paralyzing and Poisoning for sure, not everything's eatable, a lesson we learn very early on! When i think about Grass, i for some reason also see gigantic monsters. So no reall prio, but decent BP moves, with some neat side effects, e.g. above stated poisoning or paralyzing. Now, we need some HP%, but those shouldn't be too much on the % part, but all the better on the BP part. GROUND - Ground is devastation at it's best. Earthquakes, landslides etc. So massive BP, Cringe. throw some versatile buffing in there, not too much in the status department tho, but on the speed debuff area. Now, healing should be there, but also not really high, give it minor healing, and decent HP% on high BP moves. ICE - Now... when i see Ice, i see fragility, but power. Everything no matter how stable, will shatter easily once frozen. Then there's the thing, that massive ice can be a solid stall aswell. Therefore, i'd say def / sp.def debuffing, with some solid healing ( ice just requires water to freeze to be like new) , and some evasion and little def / sp.def buffing, slippery when wet but a pain when frozen. On top, i see of course, freezing status, but also some bleeding and Burn, afterall we got frostburns. That leaves me with the HP%. The BP shouldn't be mediocre, but the HP% high to suit the blizzard freezing huge areas solid. Prio should play a decent role aswell, afterall wheather can shift rather aprubtly. to try to keep it short, i'd see it as a jack of all trades of course with being master in none. NORMAL - Well, i think Normal fits the overall starting theme, not too great, but capable of everything. Give it Prio moves with not too much BP, give it concrete healing, give it high BP moves with either -prio or low accu. give it solid option on the offensive front, with but little to none options on the side effects of moves. Afterall, Normal is well... normal, simplicity. buffing just as debuffing in the form of status moves. BUT, i also see neurotxins etc. natural things. So i feel like debuffing along with hgih statusing should be the main focus, give it solid BP, and chances to debuff or status on almost everything, some healing since most antiserums are gained via toxins etc. so Stat reset, status cure along with some healing %. PSYCHIC - Now... Psychic is difficult. I see it similiar to Fighting, but on a more or less non Physical area. So, i'd say Sp.atk and sp.def buffs, alot of buffs, alot of debuffs. Side effects (hello doc Freud) Cringing, Confusion. the BP should be hugh and mediocre aswell. ROCK - Well.. Rock = Canyons and Mountains to me. So massive BP, little to no prio, decent buffing. STEEL - Now, steel is super solid. I don't just think about plate armor or Steel rods carrying our buildings, no. I also think about swords and tools executing our will. apart from that, little healing, super solid BP moves. HP% should be decent aswell. Monster Waves, geysirs, Tsunamis, high pressure shot water. then there's the thing that water steam is like super hot. So some burning, some poisoning, and i'd say even some freezing should be in there. Prio should be there, but not be the main focus. What are some moves every type should have and how should the "logic" change those moves depending on their typing and/or if they are special or physical? Ok, so some bleed damage for Bug type just a small amount right? Alrighty, here my continuation, trying to keep the same style as OP. GHOST : Well, first thing you think when you hear "Ghost!" is ... aaaaaw shucks. So some Paralyzing and Cringing gotta be in there. Then there's the thing that those are Spectral forms, often described as being no physical manifestation, so i'd throw some evasion in there. Ontop they're "cold presences" so some Freeze wouldn't be too wrong either. Confusion to get the possession theme covered, and some bleed + recovers x% of dmg dealt moves, they are said to drain life force aswell. And i'd throw some debuffing in there too, not too big, just some. GRASS : Now, Mother Nature, nuffsaid. The one thing always regaining, will be our beautiful earth. Therefore i wanna see MASSIVE healing. i want to see it buffing up on cloudless weather, Paralyzing and Poisoning for sure, not everything's eatable, a lesson we learn very early on! GROUND : Ground is devastation at it's best. Earthquakes, landslides etc. So massive BP, Cringe. throw some versatile buffing in there, not too much in the status department tho, but on the speed debuff area. Now, healing should be there, but also not really high, give it minor healing, and decent HP% on high BP moves. ICE : Now... when i see Ice, i see fragility, but power. Everything no matter how stable, will shatter easily once frozen. Then there's the thing, that massive ice can be a solid stall aswell. Therefore, i'd say def / sp.def debuffing, with some solid healing ( ice just requires water to freeze to be like new) , and some evasion and little def / sp.def buffing, slippery when wet but a pain when frozen. NORMAL : Well, i think Normal fits the overall starting theme, not too great, but capable of everything. PSYCHIC : Now... Psychic is difficult. I see it similiar to Fighting, but on a more or less non Physical area. So, i'd say Sp.atk and sp.def buffs, alot of buffs, alot of debuffs. ROCK : Well.. Rock = Canyons and Mountains to me. STEEL : Now, steel is super solid. I don't just think about plate armor or Steel rods carrying our buildings, no. I also think about swords and tools executing our will. Adding all that lol Lets the discussion start! We are KEEPING ALL WORKING MOVES and replacing the moves that don't work with things that EVERY type needs like healing or big BP/HP% moves, Prio...etc. but seems like this project is inactive for a while now? We shouldn't decide alone, we need community to post opinions and thoughts, at least to some degree.